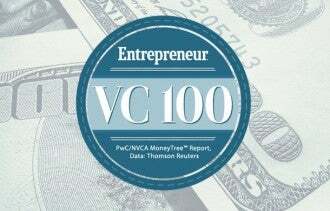 Precision for Medicine was the only Early-Stage company to nab a spot on The MoneyTree Report’s list of the Top 10 VC Deals of 2013. Co-founder Mark Clein discusses how his company became a David among venture-backed Goliaths. You've heard of Pinterest, Fab and Uber. But rounding out the list of the top 10 venture capital deals of 2013 is a non-household name that happens to be a bit of a wild card in comparison with others on the list: Precision for Medicine. Precision for Medicine was the only early-stage company to make the cut (the other nine were in expansion or later stage). Besides Atlanta-based AirWatch, it was the only non-California-, non-New York City-based company. The Maryland-based Precision for Medicine was also the only biotech to make the ranks. J.H. Whitney – as well as the VC100 chart-topping Oak Investment Partners – invested $150 million in first-round funding. Precision for Medicine was founded in 2012, shortly after co-founders Mark Clein and Ethan Leder sold United BioSource Corp (UBC), a drug research and development company, to Medco for $730 million. 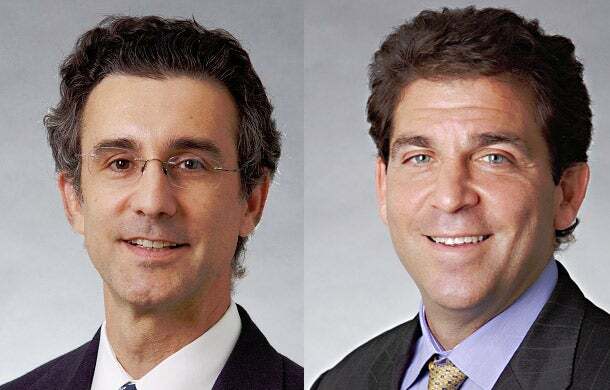 The co-founders of UBC (which has since become an Express Scripts company) remained in management to ease the transition. It was then they were swept by Medco’s attention to personalized medicine, or precision medicine: the idea of starting with incremental information about an individual patient to determine best treatments, as opposed to handing them prescription drugs that are given broadly across populations. “The more we looked at this concept the more we were convinced that this was the most important trend affecting medicine in the next 10 to 20 years,” says Clein. "We identified this large trend that’s starting in the research world, and spreading to the common practice of medicine." The company, in a nutshell, consults and supports life sciences innovators to develop innovative, patient-centric products and then successfully get it to the commercial market. J.H. and Oak had invested in past ventures of Clein and Leder. Today, both firms continue to actively invest and advise the nascent Precision for Medicine on strategy, corporate development, acquisitions and human capital. Clein explains how to develop a long-term relationship with private capital advisors, and how to win their confidence, as well as how Precision for Medicine plans to expand with its venture windfall. So where will that $150 million go? Our first investment was acquiring a state-of-the-art biobanking biorepository facility, which stores and manages human tissues. These samples are tested for information about the patient’s history, genetics and individual needs. The facility was formerly used for academic purposes, usually by the National Institute of Health and the National Cancer Institute. Now it will be used by innovators in science to develop the next generation of medical products. The relationship between a startup CEO and private capital investors can become contentious. What advice would you give other early stage companies about keeping a long-term, sustainable and ultimately profitable relationship with venture capital investors/advisers? The best advice is pretty obvious. Establish a consistent pattern of setting expectations that you ultimately achieve or exceed. Equally important, but maybe a little less obvious, is communicate bad news as soon as you are aware of it and never front run good news. Our experience is that great investors tend to be great decision makers and if something has changed that is material, it’s best to deal with it and not hope it will get better before the next board meeting. When it comes to good news, release it in the ordinary course after it has already happened. Resist the urge to report that you’re “about to win” a big piece of business. Because things change. Precision for Medicine addresses advances in technology and research but how does it address changes in health care policy? In the fourth quarter of 2013, we acquired the Hobart Group which established the first stage of our commercial platform. Hobart is tasked with developing the evidence and communicating the value of precision medicine products to health insurance organizations. The Affordable Care Act introduces significant changes to the health insurance system that life science companies will have to understand in order to ensure that their products reach the market. At Hobart, we have the experts who understand these changes and can guide our innovators through this complex landscape. Eight of the top 10 VC fundraisers were based in Silicon Valley and Silicon Alley. How is the startup scene in Maryland? We at Precision for Medicine didn’t give much thought about how this area will affect our services business but we’ve been impressed by the amount of capability and the growing life sciences sector, especially as it turned out our first acquisition was the Fredrick-based biorepository facility. Meanwhile, our regulatory consultancy is in Bethesda – a quick drive to D.C. This “270 Corridor” is important for our customer base, as well as our employee base. The Maryland biotech community is thriving, with approximately 200 to 250 diagnostic and biotech companies within the I-270 Expressway; and nearby is The National Institute of Health which is seeding many companies. The top medical school in the country, Johns Hopkins, is in the area along with the University of Maryland and George Washington University. There are entrepreneurs raising money to leverage those human capital assets. Ten years ago everything was in San Francisco, Boston, New York City and London. Today, I’m impressed by the companies up and down this expressway.